Iowa 4-H is looking for youth in grades 8-12, interested in the Healthy Living program priority area that want to serve as a 4-H Healthy Living Ambassador for the 2019 year. Ambassadors will grow their leadership skills, learn more about the Healthy Living area and implement new ideas to put into action in their home communities to create a healthy change across Iowa. A limited number of youth will be selected for this opportunity and will be responsible to complete trainings, attend the National 4-H Healthy Living Summit in February, and fulfill their project goals by August 20, 2019. Interested youth can apply online via the link at the bottom of this page. Please review the expectations of this position below before completing application. Applications will be accepted through Sunday, December 16, 2018. As applications are received, applicant will be notified to schedule a web-based interview during the week of December 17-21. Youth ambassador will lead healthy living initiatives in their region. Ambassadors will be se lected to represent an area of our state and will work with an adult mentor to determine a project, create an action plan and implement that project to reach youth with 6 or more hours of healthy living programming by the end of August 2019. The topic of the healthy living programming can range based on ambassador's interest, but must relate to nutrition education, cooking and food preparation, food safety, physical activity, relationships, mental health, and/or any other wellness related topics. It is important the ambassador focuses their program on a topic they are passionate about. Ambassadors will be trained on their role and then will utilize an approved curriculum or program plan that will be delivered to youth (K-12) for a minimum of 6 hours. They will work on individual projects but will work alongside a team of other teen ambassadors. Complete all required trainings (in person and/or online). Attendance at the National 4-H Healthy Living Summit as part of the Iowa delegation of Ambassadors. The Summit is from February 15-18; the trip will include an expense the participant will need to partially cover. Details are included below. Identify project area and utilize an approved curriculum and resources for program delivery. Work in partnership with an adult mentor to plan and deliver a minimum of 6 hours of programming related to wellness topics. Collect evaluation reports from participants. Serve as positive role model representing Iowa 4-H across our state. Member of the 4-H Healthy Living Committee - this will include opportunity to convene with 4-H Youth Specialists on Healthy Living program planning for the Iowa 4-H program. Write articles and/or social media posts to highlight local programming. Embody the role of Healthy Living Ambassador to be the youth voice in your community to making healthy changes. Identify a committee in your community to be a part of; could include a school wellness committee, healthy community coalition, etc. 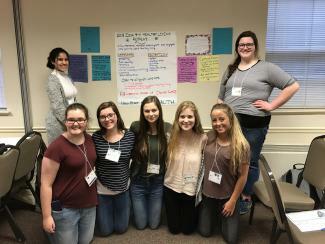 The National 4-H Conference Center hosts a four day conference for teenaged youth on Healthy Living, February 15-18, 2019, at the National 4-H Conference Center in Chevy Chase, Maryland. This event will develop youth knowledge and skills in addressing today’s health related issues including nutrition education, physical fitness, wellness, and emotional wellbeing. Youth will participate in a variety of workshops, learn from professionals in these related fields, and create action plans to implement projects to promote healthy living back home in their communities. The structure of the summit maximizes the amount of hands-on learning experiences and translates that learning to direct outcomes. The youth leaders representing Iowa will share about their learning experiences with other youth upon their return. 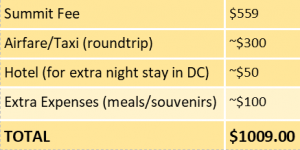 for a portion of their trip expenses. Please read through the expectations and decide if this is an experience you want to be a part of and can commit to. Electronic application will need to be submitted by Friday, December 8, 2017. We will contact selected candidates for a web-based interview during the week of December 11-15. Youth will be contacted on December 15 about their selection status. The day prior to the summit, youth will explore Washington DC. Estimated cost for the trip is approximately $1,000. 4-H participants will be expected to cover $500 towards the trip, plus meals/souvenirs during travel. Iowa 4-H will cover remaining trip expenses. If cost is an issue, please contact Laura Liechty for scholarship opportunities. Responsible for covering $500 in trip expenses plus meals/souvenirs during travel. Youth can work with local extension office or other organizations to seek financial scholarships. May include youth club, school wellness committee/administration, community group, etc. Final “Reflections of Experience” shared with Healthy Living Specialist, County Youth Coordinator, and to any sponsors who help ambassador with and financial assistance for this experience. Submit Electronic Application, please be aware, phone and email information for one reference is needed, an optional reference letter may be uploaded as well. If reference letter is not provided, we will follow up with contact and have them send it to us directly.